With the continuously growing economy, factors such as globalization of Indian markets, international economic incorporation, and opening markets for business and trade have enhanced the need of Logistics, Transportation and Supply Chain Management .Transportation is one of the most important links in SCM. IRC has been a pioneer in the Logistics, Transportation and Supply Chain Management industry of India. Transportation is one of the most important links in SCM. IRC has been a pioneer in the transport industry of India.In today’s business big or small, domestic or global, the value of time is clearly immense. Business today is focusing on how it can deliver goods and services to global markets in a timely and reliable manner. Besides efficiency in pick up, timely delivery, timely information and availability of other infrastructural facilities for efficient handling of cargo, transportation have become the need of the day. 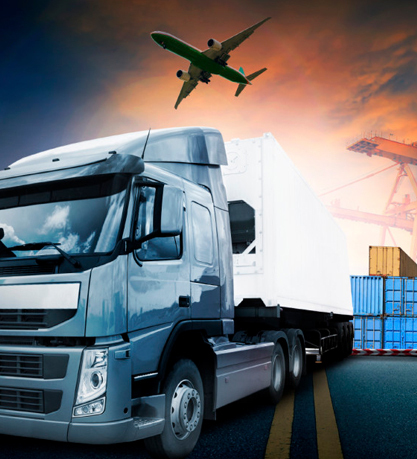 Transportation, like all industries is largely influenced by information and communication technologies with the focus being on knowledge of customer needs and value added services like End to End Logistics Solutions, Freight Forwarding , Specialized Transportation Solutions, Custom Clearance , Custom Regulation ,Project Cargo Movement, ODC (Over Dimension Cargo) Movers ,Supply Chain Management, Customized Logistics Solutions etc. The range of commodities carried by IRC includes Tyre, Rubber Products, Automotive, Chemicals, Tea, Paper, Pharmaceutical, Communication Equipment, Yarn, Steel, Chrome Ore, Brown Goods, White Goods, Liquor, Lubricants, FMCG, Power Plant Equipments.